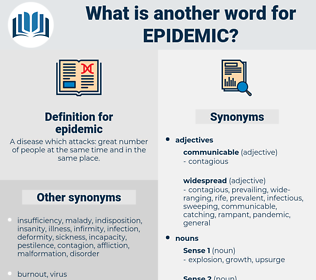 What is another word for epidemic? A disease which attacks: great number of people at the same time and in the same place. 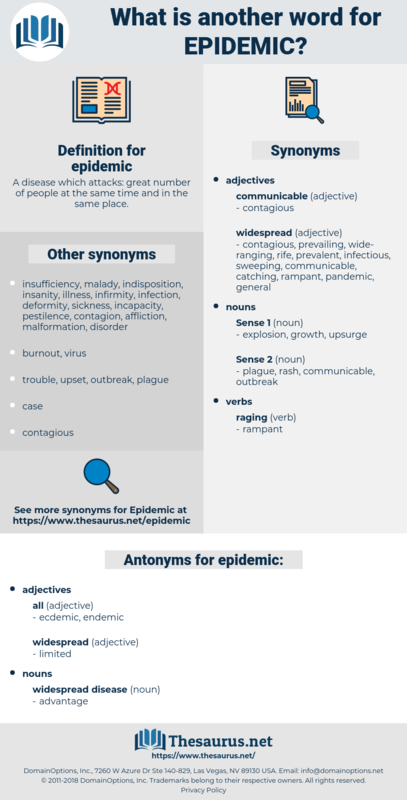 pandemic, epizootic, pestilence, scourge, outbreak, spread, epidemiological, prevalence, sickness, infestation, virus. There was an epidemic of typhoid down there.